Carbon footprint of this missile coming. 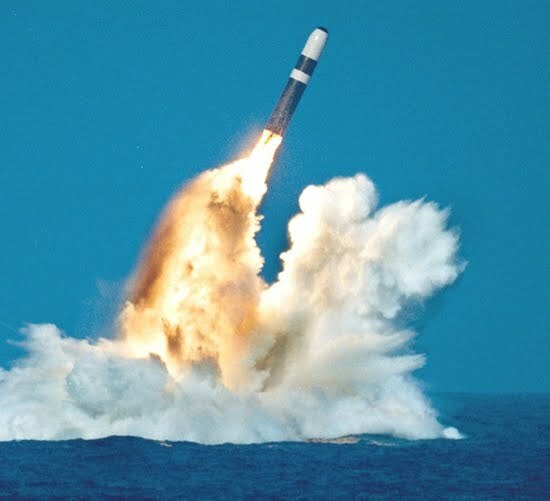 The British Trident Ballistic Missile System is revitalised in 2010 for another generation of anxiety, impotence and fear. What does it mean to teach Sustainable Thinking & Ethical Practice in institutions of learning when nation leaders promote killing machines in lieu of negotiation and humanitarianism? For insight into nuclear attack see what survivors experience here: White Light, Black Rain: The Destruction of Hiroshima and Nagasaki (director: Okazaki, 2007).